A story about a former Marine Force Recon, combat that becomes an NYFD firefighter. A survivor of 9/11, he was deeply affected by the 343 fire and rescue, and civilians who died that day. Described as an adrenaline junkie by his fire department psychologists, he became obsessed with defying death to save lives. His Post-traumatic stress disorder, developed in the military and progressed by 9/11 is a combination that pushes him over the edge. In an attempt to try to prevent his flashbacks he leaves New York for New Jersey to get away from the site of 9/11. Against safety procedures, he begins adapting his elite military skills and philosophies, for fire and rescue. Everything from commando crawling and repelling, zip lining, spy rigging, and parachuting are used by him in the line of duty. This leaves him consistently at odds with his peers. Feeling the need to prevent another 9/11 he reaches out for state funding to develop an elite fire and rescue unit. Eventually (A.R.T.T.) - Advanced Rescue Tactics Team is creating. 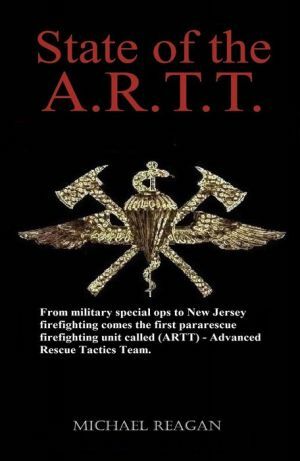 A small sate of the art, highly trained unit that deploys by helicopter to augment any fire department within the state that calls for their assistance. His heart brings him back to New York with his A.R.T.T. unit to deal with a new crisis.